The North Jutland amusement park Fårup Summerland was on Tuesday voted the second best in Europe at the IAAPA Euro Attractions Show in Gothenburg, reports TV2 Nord. 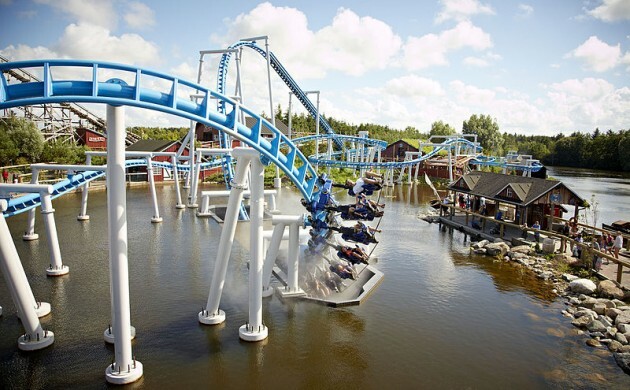 “We work hard on the combination of rides, themes, visual appearances and services,” Rasmus Mortensen, the marketing manager at Fårup Summerland, told TV2 Nord. The jury of the International Association of Amusement Parks and Attractions consists both of industry professionals and entertainment enthusiasts who assessed the park’s overall impression. Tripsdrill Theme Park in Germany won first place. Fårup Summerland was founded in 1975 and is open to visitors only during the summer months. It has the largest water park of any amusement park in Denmark and many rides, including the Hurricane rollercoaster, which was voted Europe’s second best in 2013. Danes make up about 80 percent of its visitors.